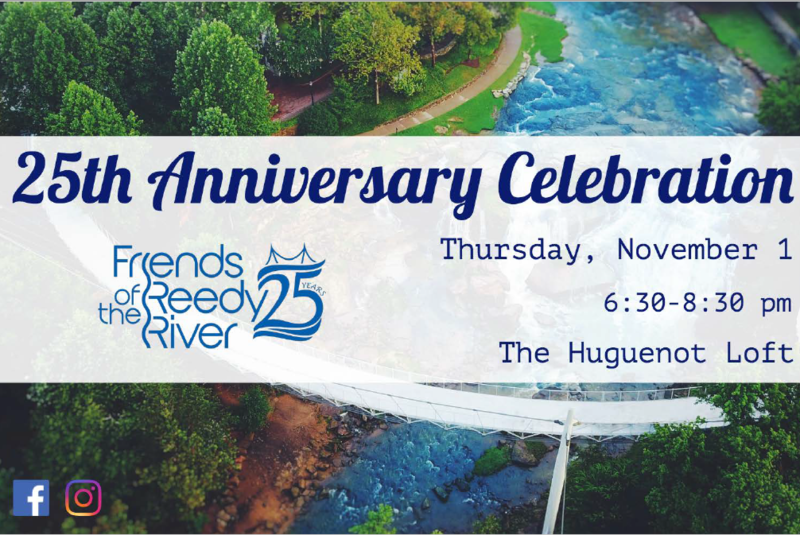 Friends of the Reedy River’s 25th Anniversary Celebration in honor of their founders and local partners will be held on Thursday, November 1, from 6:30-8:30 pm at The Huguenot Loft. A guest speaker, live electric violinists Synergy Twins, unique food offerings from CHEF360, and silent auction will be featured at the event. Purchase your tickets online at http://friendsofthereedyriver25th.eventbrite.com - $45 Early Bird Special until 10/12. Stay tuned for more details!